Are you in debt with your council tax? 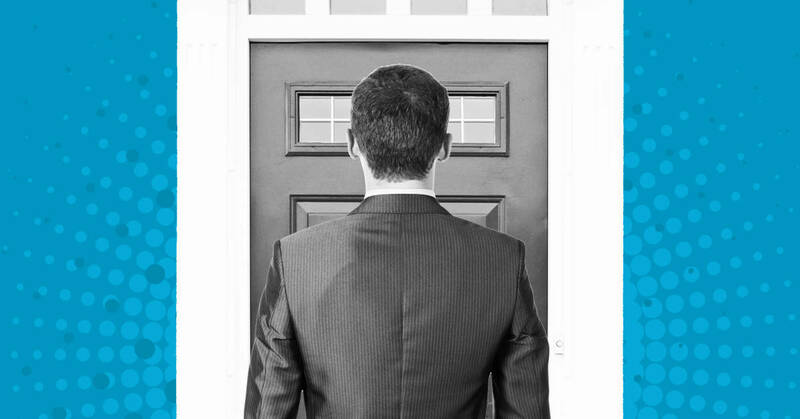 This article will tell you what can happen if you have unpaid council tax, including when you might get a knock at the door from the bailiffs. It will also tell you what you can do about sorting out council tax debt. But the most important thing you can do if you have got council tax debt is to get help. If you call Council Tax Advisors today on 0300 302 1806 you can start sorting out the problem. We provide all the support and advice you need free of charge. You probably know that it is important to pay your council tax. In fact, if calls to our helpline 0300 302 1806 are anything to go by, you were probably paying your council tax right up until the moment when you simply couldn’t afford to pay it because of all the other bills you have to pay. But have you stopped to consider why it is important to pay your council tax? It is because it is a priority debt. Other priority debts include mortgage repayments, rent and gas and electricity bills. There are serious consequences if you don’t pay a priority debt. For example, you could lose your home if you don’t pay your mortgage or rent or you could have your non-essential goods seized by a bailiff to be sold to repay your debt. If you have council tax debt, it is important that you get the problem sorted out as quickly as possible. You can start the process today by calling us on 0300 302 1806. We will give you all the advice and support you need. Before we look at the options for sorting out your council tax debt, let’s take a look at what can happen if you don’t. After your council have tried to collect the debt from you several times (there is a formal process they have to follow to try to collect the money), they can apply to the magistrates court for a liability order. This is a legal demand for payment. If the debt is still not paid they can apply for an enforcement order. When an enforcement order is granted, they will appoint enforcement agents (also known as bailiffs) to collect the money on their behalf. Bailiffs have certain powers to collect the money on the council’s behalf. They can apply to have an attachment of earnings order put in place. Attachment of earnings means that money will be deducted from your wages each month until the debt is repaid. For many employers, it is a disciplinary offence to have an attachment of earnings order against you. This could mean you could face disciplinary action or even be dismissed from your job. An attachment of earnings order could therefore have very serious consequences. If you receive any benefits such as Employment and Support Allowance, Income Support, Jobseeker’s Allowance, Pension Credit and Universal Credit, bailiffs can arrange for money to be deducted from these. Bailiffs can also carry out what is known as exceptional attachment. This is when they visit your home to take your possessions to sell them to recover the debt. There are plenty of rules and regulations around how a bailiff must treat if you they visit and the items they can and cannot take. Despite these, a visit from the bailiffs can be a very stressful and embarrassing experience that most people want to avoid. If you would like to avoid any of these things happen, read on to find out what the options are when you seek help. How can you sort out your council tax debt? If you want to avoid attachment of earnings or exceptional attachment, it is important to seek help as soon as you can. Council Tax Advisors was set up to provide advice and support to people with council tax debt. We negotiate with bailiffs and councils on behalf of our clients and specialise in helping them get their debt problems under control. All the help we provide is free of charge and we help hundreds of people every day, so we are experts in what we do. The first thing we always recommend people with council tax debt do is try to put an affordable repayment plan in place with their council. We can help them work out what they can afford to pay each month and we can also negotiate with the council on people’s behalf. If you have got other debts apart from council tax debt, you might need to look at formal options that can help you get control over all of them. We’ve given you a summary of them below. If you need a formal debt solution, we can advise you on the one that is most suitable for you and give you all the support you need to put it in place. An Individual Voluntary Arrangement (IVA) is an agreement between you and your creditors to pay all or part of your debts using a single regular payment to an insolvency practitioner. Having a Debt Relief Order (DRO) in place means that your creditors cannot recover their money without permission from the court. DROs are designed for people who owe less than £20,000, have less than £50 per month spare, have less than £1,000 of assets (this means homeowners cannot apply for a DRO), have lived or worked in England and Wales in the past three years and haven’t applied for a DRO within the last six years. With a DRO, you are usually freed from your debts after 12 months. If you cannot pay your debts you can declare yourself bankrupt. You declare yourself bankrupt by applying to the court for a bankruptcy order. When the bankruptcy order is issued, you will have to follow certain bankruptcy restrictions such as not borrowing more than £500 without telling the lender you are bankrupt. You will normally be released from your debts and the bankruptcy restrictions will be lifted after 12 months. If you are struggling with council tax debt – or any other kind of debt – the best thing you can do is take action. By contacting Council Tax Advisors you will be taking control of the situation and putting yourself back in charge. Call us today on 0300 302 1806.